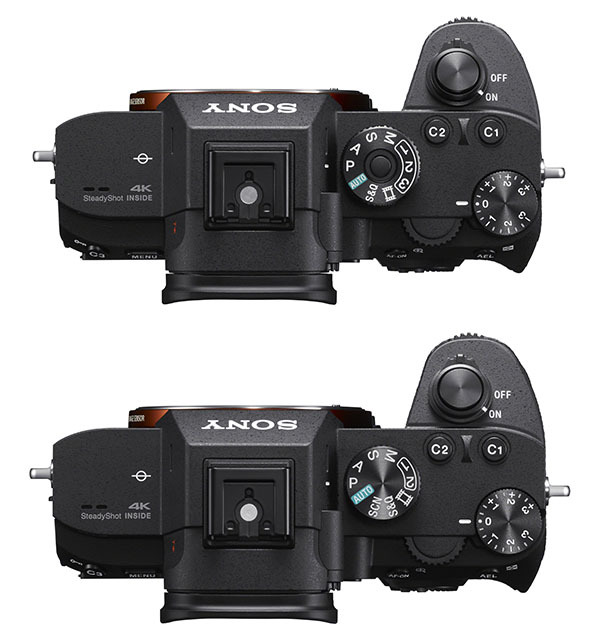 The Sony a7 III (ILCE-7M3) and the a7R III (ILCE-7RM3) share many features in common, but they also have their own unique features that distinguish these cameras apart from one another. In this comparison article I’m going to take a closer look at the 12 key differences between the Sony a7 III and the a7R III. At the launch event Sony called the a7 III their “basic” full frame model, but it’s definitely anything but basic. The Sony a7R III is without a doubt an excellent camera, but is it really worth $1200 more than the a7 III? This article will try to answer that question. 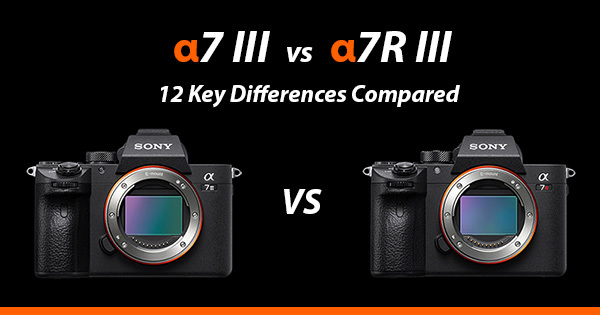 Although both cameras share a similar back-illuminated Exmor R CMOS sensor, the difference here is that the sensor in the a7 III has a resolution of 24.2 megapixels, whereas the a7R III has a massive 42.4 megapixels. Both sensors are using the latest BIONZ X image processing engine and front-end LSI, which helps to improve readout speeds and data processing capability. Possibly one of the most important differences between the sensor in the a7 III and a7R III, is that the a7R III does not include an optical low-pass filter (anti-aliasing filter) in front of the sensor, whereas the a7 III does include an anti-aliasing filter. Just in case you didn’t know, an anti-aliasing filter helps to reduce distortion, but in doing so it also makes images slightly less sharp. The a7R III however has been designed so that it does not require an anti-aliasing filter, this allows for sharper images with a higher resolution. Both cameras include in body image stabilization that works accross 5-axis, but the A7r III is rated at 5.5 stops, this compares with 5 stops for the a7 III. The ISO sensitivity range is slightly different between the two cameras. The a7 III has a 100-51200 native ISO range and an expanded range of 50-204800. The a7R III has a native ISO of 100-32000 and 50-102400 expanded. Both cameras can record uncompressed and compressed 14-bit RAW. According to DPReview, the a7 III more or less matches the base ISO dynamic range of the a7R III (14.6 EV for the a7 III and 14.8 EV for the a7R III). This means both cameras will give you similar ability to make use of (brighten) shadows in Raw files if you want to show a wider dynamic range than shown with the default tone curve. The a7 III inherited a very similar body (but not identical) to the a7R III. 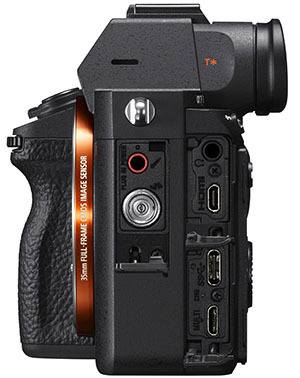 So you will be pleased to know that the a7 III also includes the same touch screen, AF joystick, the dedicated AF-On button, dual SD Card slots (one of which is UHS-II), a Protect/Rate button, relocation of the movie record button to near the viewfinder, and the new and much larger NP-FZ100 battery. However, they are not completely identical. The a7R III features magnesium alloy for the front, side, and rear covers, whereas the a7 III is missing the magnesium alloy on the rear. The a7 III is also missing the lock button on the mode dial which the a7R III does include. The a7R III also has an extra port for studio flash units and other external lighting equipment, this port is missing on the a7 III. The a7 III weighs in at approximately 650g or 1 lb 7.0 oz (with battery and SD Card), making it 7 grams lighter then the a7R III. The autofocus system in the a7 III is derived from the one in the Sony a9. Therefore the a7 III features 693 phase-detection AF points that cover approximately 93% of image area (same as in the a9). The a7R III actually has a smaller number of phase detection AF point (399), and these only cover 68% of the sensor area. The number of contrast detection AF points remains the same between both cameras at 425. 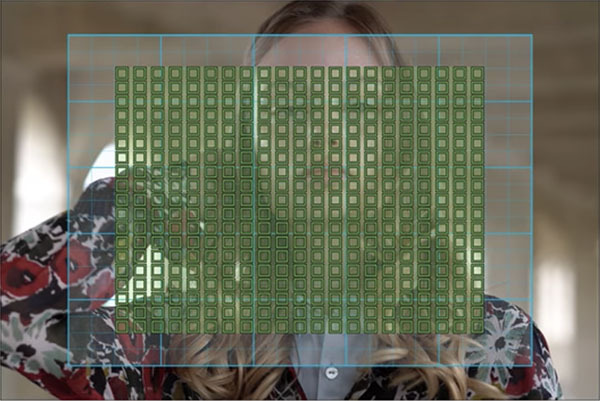 The following images provide an example comparison of the AF areas between the two cameras. The green squares show the phase detection points and sensor coverage, whereas the blue squares show the contrast detection points and coverage area. As is clear to see, the Sony a7 Mark III definitely has an advantage over the a7R Mark III here when using phase detect AF. This can be beneficial when tracking fast moving subjects across the frame like football players, superbikes, or birds in flight. Both the a7 III and the a7R III feature eye autofocus (eye AF), and this also works in continuous shooting mode. Tracking sensitivity can also be changed, helping you to either maintain focus on your subject, or provide the AF tracking with more freedom to jump to other subjects in the frame. With the a7R III, when the aperture is greater than F8 in continuous shooting mode, the focus is locked to the setting in the first shot. With the a7 III, you can shoot up to and including F11 before the focus is locked to the settings in the first shot. This really gives the a7 III the edge when shooting at higher apertures in continuous mode. The a7 III now also has an electronic/silent shutter just like the a7R III. Both cameras can shoot 10 frames per second with either the electronic or mechanical shutter, but if you want live-view then you are limited to 8 fps. The buffer on the a7 Mark III supports up to approximately 177 JPEG images, 89 compressed RAW images, or 40 uncompressed RAW images in one continuous burst. This compares with 76 JPEG, 76 compressed RAW, or 28 uncompressed RAW images when shooting continuous on the a7R Mark III. It’s not really surprising that the buffer supports less images on the a7R III, this is largely because the file sizes are almost double that of the a7 III due to the larger 42.4 megapixel sensor. Both the a7III and the a7RIII can record 4K video at up to 30fps and 100Mbps using XAVC S compression. However, there are a couple of important differences between the two cameras when it comes to video. The a7 III supports 24p/25p 4K video recording with zero sensor crop, which is achieved by capturing 6K then downsampling to 4k. At 30p recording is captured at roughly 5k, so there is a slight crop of 1.2x. You can record video in 4k and full frame with the a7R III, but there is more noise visible at high ISOs due to the higher resolution of the sensor, shooting in APS-C/Super 35 mode will help to improve the quality. Both cameras support in-camera picture profiles, S-Log2, S-Log3 and a HLG (Hybrid Log-Gamma) profile for output to HDR TV’s without the need for color grading. They also both support Slow and Quick Motion (S&Q). This allows you to select between 1fps and 120fps for slow or fast motion clips. The Sony a7 III has a 2.36 million dot OLED electronic viewfinder with a refresh rate of 60fps (just like its predecessor the a7 II), this results in a 1024 x 768 image. The a7R III trumps this by having a 3.69 million dot OLED viewfinder which also has a faster refresh rate of 100/120fps. The rear LCD screens of both cameras feature touch controls for selecting and moving your focus point and zooming in. You can also tilt the screen upwards and downwards. However the a7R III trumps the a7III by having a higher resolution LCD screen (1,440k vs 921k dots). The higher resolution of both the viewfinder and LCD screen of the a7R Mark III is very beneficial when using focus magnification or the clear image zoom (digital zoom) function. One feature that the a7R III includes that the a7 III does not is the Pixel Shift Multi Shooting mode. This function basically increases the resolution of your images by 4 times. The camera takes 4 photos and shifts the sensor 1 pixel in between. You then combine these images using Sony’s Imaging Edge Software Suite (the camera itself doesn’t do this) and you end up with an image that has 4 times the resolution of a normal raw image (4 x 42 megapixel). The main advantage of Pixel Shift is increased color accuracy and sharpness, but only if your subject is perfectly still and your camera is on a very solid tripod, as the slightest movement will render the images useless. Product photography, architecture photography, and still macro photography are areas where Pixel Shift will really shine. Landscapes photography not so much since there are most likely to be moving elements like clouds, flowing water, or the wind blowing things around etc. Both cameras now use the much larger NP-FZ100 battery which replaces the NP-FW50. The NP-FW50 was rated at a capacity of 1020mAh, whilst the new NP-FZ100 battery is rated at 2280mAh. This provides over double the capacity of the old battery. Official Sony figures are 710 shots (with LCD screen) for the a7 III vs 650 shots of the a7R III. Although it’s important to note that in real life conditions you may actually shoot many more shots on a single charge. I’ve shot well over 1000 images with my a7R III before I’ve needed to change the battery. Cold weather will also reduce battery life a lot faster. Both cameras can be charged via USB, and the a7R III also includes the Sony BC-QZ1 Battery Charger. Unfortunately the Sony a7 III does not include the charger, leaving you with the only option of charging via USB. To charge the NP-FZ100 battery via USB takes approximately 5 hours, compared with 2.5 hours when using the BC-QZ1 Charger (Check Prices On: Amazon.com | Amazon.co.uk). Both cameras have identical ports, however the a7R III also has an extra flash sync port for studio flash units and other external lighting equipment. Both cameras feature an APS-C / Super 35 Mode. This allows you to shoot with full frame lenses with a crop factor of 1.5x, or attach an APS-C lens. If you were to attach an APS-C lens without using APS-C mode, you will notice black bars on either side of your image, this is because an APS-C lens will not completely cover the full-frame 35mm sensor. Although both cameras feature this option, when you enable it on the Sony a7 III your maximum image size will be 10 megapixels (3936 × 2624). However because of the larger 42 megapixel sensor in the a7R III, when you enable APS-C mode on this camera the maximum image size will be 18 megapixels (5168 × 3448). Personally unless I was using an APS-C lens I would choose to crop in post rather than use APS-C mode on either camera. The differences between the two cameras may not be huge, but the price certainly is. Currently the a7 III costs $1,998.00 (US Dollars) or £1999.99 for the body only, and the a7R III costs $3,198.00 (US Dollars) or £3199.00. So is the a7R III really worth $1200 dollars more than the a7 III? I think this really comes down to how much you need/desire that 42-megapixel sensor. Despite the 12 key differences outlined here, the real big difference is definitely the resolution of the sensors between these two great cameras. Although the Sony a7 III doesn’t offer the 42-megapixel resolution of the a7R III, not every photographer wants or needs 42.4-megapixels. Even for landscapes 24.2 megapixels is more than enough for most people. If you are looking for a great all-round camera and don’t require 42.4 megepixels, then I’d certainly recommend going with the a7 III. Also if you shoot a lot of sports and action, then the faster autofocus system, larger buffer, and increased number of phase detection points will serve you much better than the higher resolution of the a7R III. But if you love pixel peeping and really must have the sharpest possible images for your landscape work, architecture, or portraits shots, then you probably already know that the a7R III is going to be the best camera for your needs. Already made your decision? Then it would be great to hear which camera you decided to go for and why in the comments below. And if you have decided on the a7 III, then you might find my Sony a7 III Accessories Guide useful. It can also be used with the a7R III due to them sharing a similar body design.